My finish line interview with Devon Yanko, the 2015 Javelina Jundred Women’s Champion and 2nd overall. Her 14:52:06 time broke the course record by 48 minutes and gave her the 3rd fastest women’s trail 100-mile time. We talk about doing scary things, her remarkable rebound from a 30-mile rough patch, the wonders of coffee, and firing herself from the night shift at the bakery. It’s Sunday and I’m at Louis’ Restaurant at Land’s End eating breakfast. It’s become something of a tradition for me to eat here the morning after a local ultra. I can’t sleep, can’t eat (or eat much) after a race so I’m usually wide awake at the crack of dawn and starving so I hobble the few blocks over. It’s nice to enjoy the ocean views when it’s quiet before the hordes of tourists descend on the area. 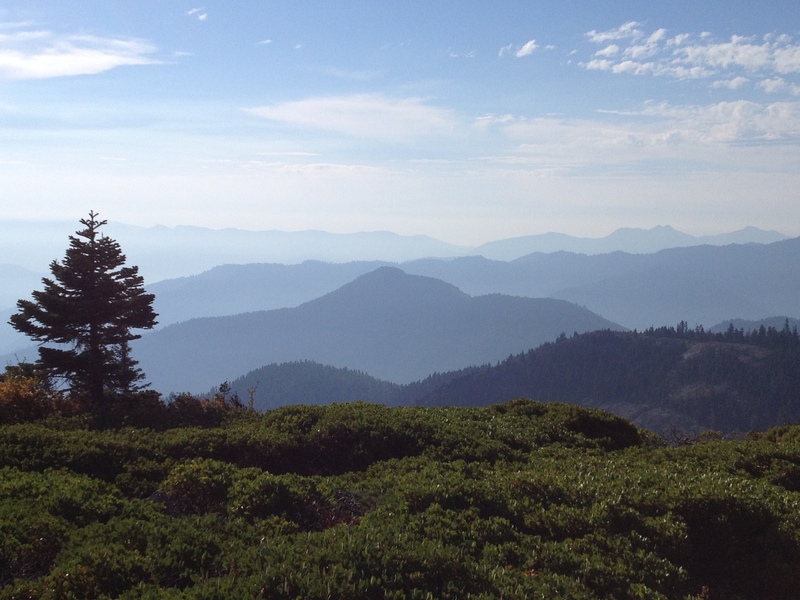 Pine to Palm is a trail race that traverses west to east through the Siskiyou Mountains of southern Oregon. It starts in Williams, dips its toe into California then ends in Ashland. All told the course contains 20,000 feet of vertical gain going from below an altitude of 2,000 feet to above 7,000. Or as my friend Ace put it – big ups and big downs. The words rugged and beautiful are often used to describe the race. After Javelina I thought I was ready to step up to the next challenge. But it turns out I wasn’t. I DNF’d (Did Not Finish) Pine to Palm. I knew going in that this particular event was way outside my comfort zone, a mountain point to point with long, sustained climbs and descents. I’m a terrible climber and I can train really hard to improve to be a bad one. On the other side of that, I’m a decent descender and that’s usually where I can make up ground. There’s nothing like choosing a race that emphasizes your weaknesses to instill fear into your heart. I remember telling my friend Noé that I was doing Pine to Palm and that it scared me. For the TLDR (Too Long Didn’t Read) crowd – a companion piece to the long-form article. This is more nuts and bolts, less wacky storytelling. The last time I was in Vancouver it was 2012 when I was running the SeaWheeze Half Marathon. 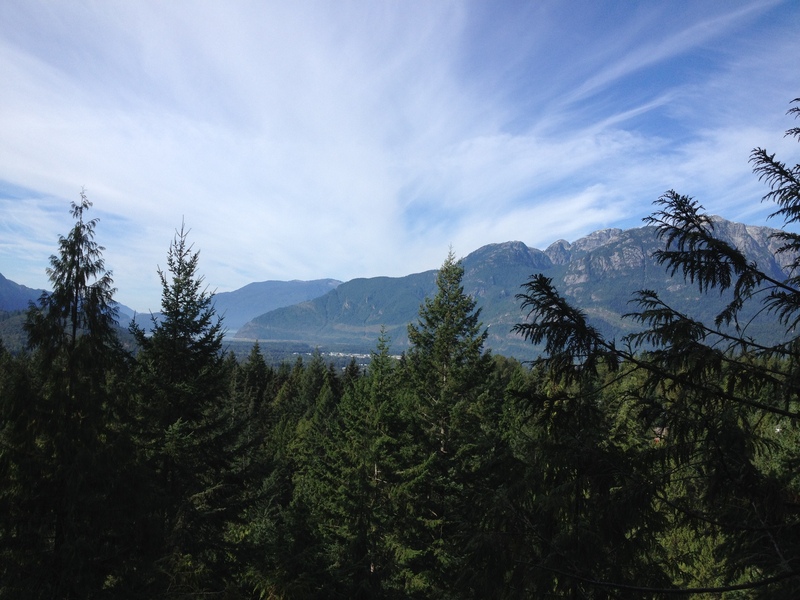 While there I learned a trail race was going on at the same time just north of us in Squamish. I had driven through that part of coastal British Columbia several times, mostly on my way to Whistler, and it’s drop dead gorgeous. I really wanted to run that race one day. It turns out that had been the inaugural running of the Squamish 50. It’s evolved over the years dropping the relays in favor of 23k, 50k, and 50 mile races. It’s also become a two-day event. The 50 mile is on Saturday and the 23k/50k is on Sunday. Those who want even more fun can sign up for the Squamish 50/50. One guess what that means. I had successive weeks of heavy lifting in the long run department. That meant a lot of climbing plus a pretty high weekly mileage. My friend Karen messaged a group of us that she was sweeping the Skyline 50k and asked if anyone would be interested in joining her. This seemed like the perfect opportunity to take a bit of the breather but still get some solid time on my feet on what was another back-to-back long run weekend. Sam and I took her up on her offer. I had back to back 25 mile training runs on the schedule for this past weekend. Since I had an early, 7+ hour shift covering the San Francisco Marathon for Ultra Sports Live.TV on Sunday, I moved the runs to Friday and Saturday. Day One – Two base to summit climbs on Mount Tamalpais following Eldridge and Old Railroad Grade. Day Two – Two base to summit climbs on Mount Diablo. The first climb to Mount Olympia and North Peak, the second climb to Eagle Peak and Mount Diablo.